Find articles focusing on dimension items. 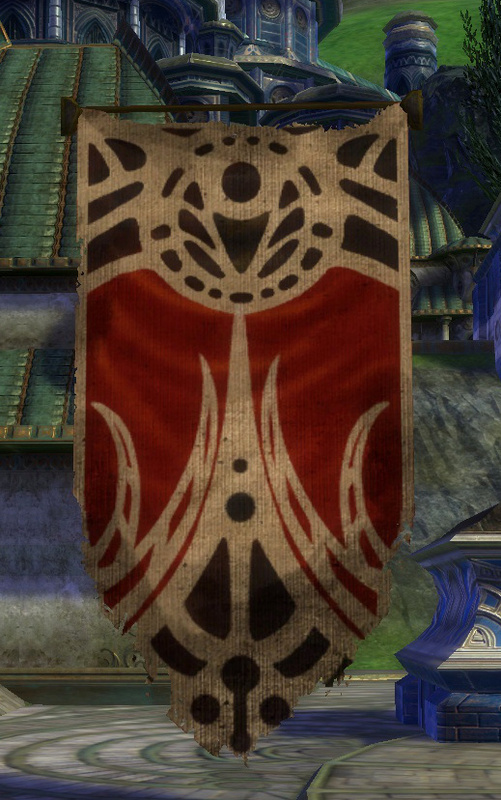 The Tempest Bay Banner returns, at a much increased price. It snuck in unannounced, like a teenager returning home after curfew, without noise or fanfare. Welcome back, Tempest Bay Banner, I missed you. But, what’s this? How much? Nine platinum, 5 credits? I remember when the Tempest Bay Banner was a mere 80 gold. What happened? Did Trion upgrade the pixels from cotton to a more expensive material? If I rub it with my digital fingers will I feel the cool, satiny texture of silk? No, seems to be the same boring cotton as always. Perhaps the Telarian dollar has nose-dived and imports are now more expensive. Except, it’s a local product. Maybe those grifters from Droughtlands have moseyed in on the local merchants and now we’re feeling the bite of protection money. That must be it. It couldn’t be sheer profiteering on behalf of the greedy merchants running this town, could it?